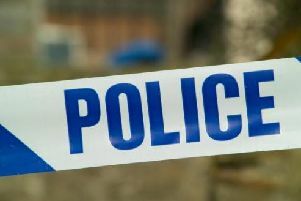 Police in St Helens have launched an operation to crack down on crimes such as burglary. Operation Senden is an intelligence-led operation that aims to target people responsible for a rise in offences in St Helens. We cannot do this alone. We rely on information from our community. The key element of the operation is acting on information provided by the community - and they are urging people to help. Acting inspector Leigh Price, from St Helens community policing, said: “We are aware of a slight rise in burglary and theft offences in certain areas of St Helens and are working to tackle this issue with our partners in the local authority and housing associations. “Operation Senden has been launched by St Helens policing team specifically to target, arrest and convict those intent on committing these offences within our community. “We are using various tactics including uniformed and plain clothes vehicles, quad bike patrols and officers on pedal cycles. “Our mobile police station is also being deployed to areas of St Helens over the coming days and weeks. Please feel free to come and chat to our officers. You will be able to obtain advice regarding home security. We have seen a reduction in burglaries since the start of this operation. “We know how this can affect the victims of these crimes and we are determined to target the offenders, reduce their opportunity to commit offences and support any victims of these crimes. Anyone with information is asked to call Merseyside Police on 101 or Crimestoppers, anonymously, on 0800 555 111.